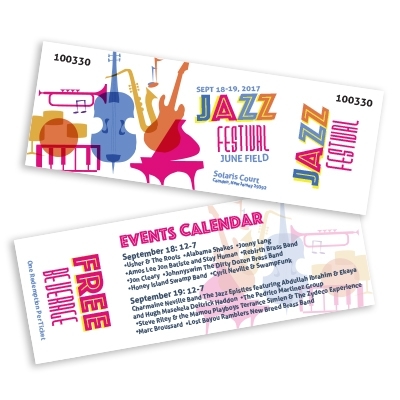 These Full-Color Digital Print Event Tickets are perfect for your client's next big event! With a glossy finish and optional perforated tab or serial numbering, your client can keep track of who attended or even conduct a raffle. Price Includes: Full Color Digital Printing, Double Sided Printing, Setup and Unlimited revisions on the digital proof.